Home › Uncategorized › Everyone’s Invited !!!!! Its time for the New Orleans Tattoo Convention after party ! EVERYONE is welcome. Yes EVERYONE. Party starts Sunday at 9 pm. 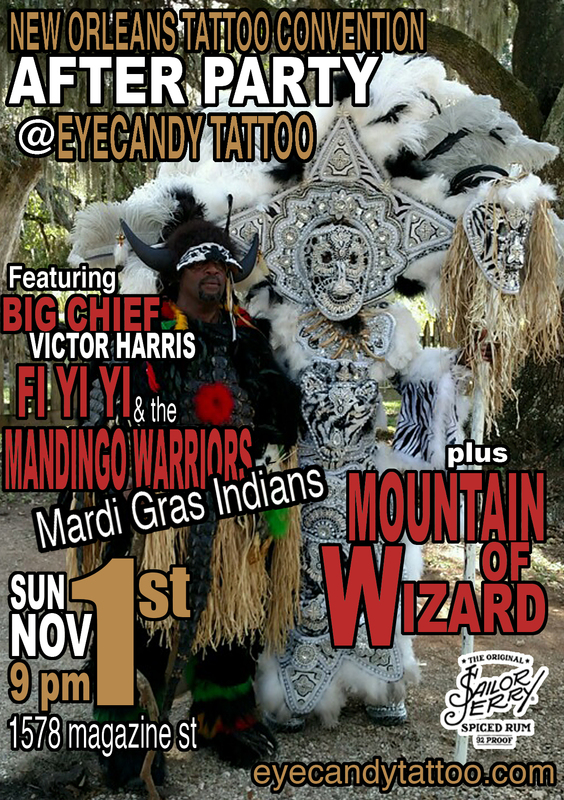 Live music with Big Chief Victor Harris FI YI YI & the Mandingo Warriors, plus Mountain of Wizard. Food/Drinks and a Full bar from Sailor Jerry Rum. ‹ Party Time Again !!!! !